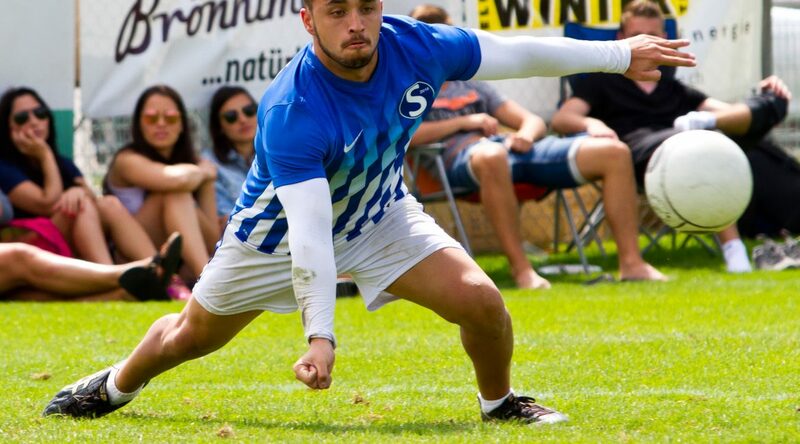 At the first ever IFA 2018 Fistball World Tour Final, on Friday, April 27 and Saturday, April 28, the best eight teams of men and women compete against each other in Vaihingen / Enz (Germany). Teams from five countries from three continents will be represented. In addition to the continental champions from Europe, South and North America, five respective six teams have qualified via the IFA 2017 Fistball World Tour. The TSV Jona (Switzerland) and SG Novo Hamburgo (Brazil) each qualified with a women’s and men’s team for the final. The local team from TV Vaihingen / Enz will be in action for the first time on Friday, April 27 around 11:30 a.m. The games are played best of five in the system “Double Elimination”, which means that in case of defeat, a team can qualify for the final via the consolation round. Each team thus has at least two games. All teams that do not qualify for the finals or bronze medal match on Saturday will have the opportunity to attend the Vaihingen Spring Tournament on Saturday. This will also be part of the IFA Fistball World Tour again in 2018, so that all teams can score points for the classification. All teams that are in the semi-finals will receive a wildcard and enter the tournament on Sunday. A total of more than 100 women’s and men’s teams from 13 countries and five continents participated in the IFA 2017 Fistball World Tour, which qualified in 20 tournaments on all continents. Mayor Gerd Maisch has taken on the patronage of the Volunteer Program, which seeks out volunteer helpers to support the event.